Determining the price to sell your items at is always the subject of intense debate. Money is an emotional issue for most people but when you are selling something you physically make you are even more invested in the process of determining you pricing. 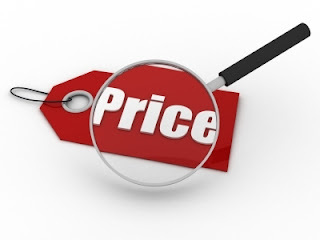 There is no right or wrong way to determine what your product is worth but I am going to take you through the way I determine the price of a lot of my items for shows and local sales. First determine how much you think you should make an hour. You are your own boss! You can overpay your self if you want. You also have no one to complain to if you underpay yourself. For example, I feel I should always make more than minimum wage based on my experience making bows for 3 yrs and my previous work history so for arguments sake I set my pay at $15 an hour. For whatever item you are going to price out get your materials together in one space and get ready to work! Set a clock and see how long it takes you start to finish making one piece. It took us 5 minutes to make our bow to completion. Now calculate how much your 5 minutes of time is worth. Now let’s figure our how much our product material cost is. You can factor in any expense like the method below by changing the numbers to whatever your cost is. Clips: we paid 14.75 for 144 clips. $14.74 divided by 144 is .102 per clip or rounding up 11 cents per clip. Glue sticks and thread are so small it is hard to cost out so I do not factor those into my pricing. If you add embellishments or anything else you want to factor those in as well. Some people view this as their wholesale price, and then double the price to $3.92 for their retail price. I round my retail pricing up to $4.00 because it’s far easier to price it in even dollar bill numbers for craft shows. Because I also only take an elite market of wholesale customers my wholesale pricing in most cases is a set percentage off of my retail pricing instead of the production cost above. It takes time to develop both clientele and the "expertise" that I have and that to me is deserving of at higher percentage that stays with me. Before I set my final pricing I also research both the product and the market. 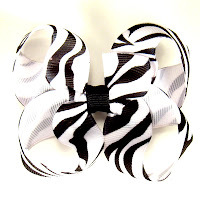 Are you selling this bow at a craft show? Ebay? Etsy? If you are you need to factor in the amount of time that you spend listing, fees incurred, time spent standing at a show, and any other expenses like gas, food or hotels. How much is this product generally be sold for in your area in boutiques, brick and mortar stores, and online? You may need to adjust your price higher or lower to be competitive. Hopefully that helps everyone start to have a working knowledge of how to price and item. The main reason to sit down and price each item is so that you do not feel like you are giving away your time for nothing. If you don't know how much you are really making it’s hard to determine your self worth (or argue with a spouse) and feel confident in your decision to craft for profit. Sure it’s easier to fly by the seat of your pants and hope you are making enough to be worth it but I love knowing that I can make however much money I want to by being in control of my little airplane! I have passed the Versatile Blogger Award along to you. Please see my blog for information!